Bibliography: Tomás Harris 216; Loys Delteil 236. 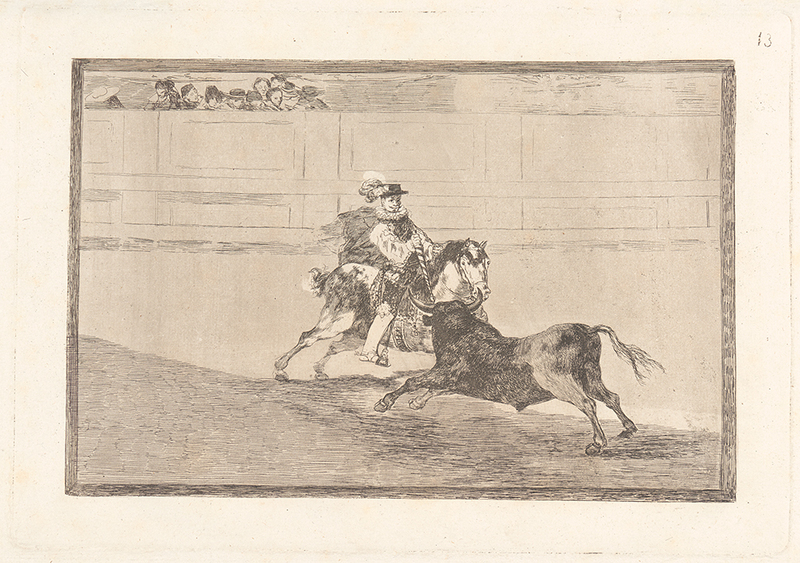 A Spanish Mounted Knight in the Ring Breaking Short Spears without the Help of Assistants (Un Caballero Español en Plaza Quebrando Rejoncillos sin Auzilio de los Chulos), . From The Art of Bullfighting (La Tauromaquia). Etching and aquatint. DAC accession number 1949.D3.8.13. Gift of George W. Davison (B.A. Wesleyan 1892), 1949. Open Access Image from the Davison Art Center, Wesleyan University (photo: R. Lee). http://dac-collection.wesleyan.edu/obj6484 is a persistent link to this page with no user-session information.